Brewed with Pilsner malt, this authentic 4.2% ABV lager is dry-hopped with Australian Galaxy hops to add big, fruity flavours. It’s then cold conditioned to produce a full, well-rounded flavour with subtle malty flavours and super-hoppy aromas of tropical fruits, citrus and passionfruit. Draught Amstel is a fresh tasting, smooth and firm bodied lager with a 4.1% ABV that makes it the perfect lager for any occasion. 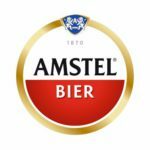 Over 130 years of brewing experience makes Amstel an exceptional tasting quality lager – And it is still brewed and imported directly from Amsterdam. 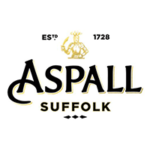 Aspall Suffolk is a clear dry cider with an ABV of 5.5%. It is made from 100% freshly pressed English apple juice and free of sugar syrups and concentrates. Created to celebrate 275 years of cyder making by 8th generation brothers Barry and Henry Chevallier Guild. Birra Moretti is the number one, authentic Italian beer, brewed with quality natural ingredients to produce a distinctive fragrant golden beer. It has a warm, sociable, authentic Italian character and is 4.6% ABV. Coors Light has an ABV of 4.2% and is always light and refreshing with subtle fruit notes of apple and banana. A pleasant bitterness works its way through the beer’s sweetness, giving balance. Australia’s famous beer. With its clean, crisp and refreshing taste and an ABV of 4%, Foster’s was first brewed in Melbourne, Australia in 1888 and was introduced to the UK in 1985. Enjoyed in over 150 countries, it is the UK’s second biggest standard lager. With an initial malt and caramel flavour, Guinness at 4.1% ABV finishes with a dry roasted bitterness. The malted barley is roasted giving Guinness it’s dark, rich red colour. Kronenbourg is a high end premium lager, with a 5% ABV, named after the year the Hatt family, the brewery’s founders, first started commercial brewing. Made with selected malts and an exclusive yeast, this darkish beer with golden highlights has an aromatic hoppiness and a subtle bitterness that comes from a long maturation in the cellars. 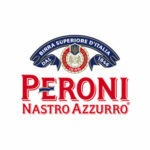 Peroni Nastro Azzurro is a 5.1% ABV lager which offers a delicate balance of bitterness and citrus & spicy aromatic notes, combined with a surprisingly fast & clean finish. San Miguel is a 5% ABV pilsner style full bodied lager uses a unique yeast and more barley than many other beers to deliver a refreshing yet full flavoured taste experience. Strongbow is the UK’s biggest cider brand and is a refreshing, dry clear cider with a good depth and character and an ABV of 4.5%. The Whalebone offers a selection of locally and nationally brewed Real Ales. The following, along with other guest ales, are an example of those which are regularly available. The original UK Citra and a multi-award winner including Champion Golden Ale and Runner Up Overall Best Beer at the Great British Beer Festival in 2014. Southwold Bitter is a beautiful copper-coloured beer, late and dry-hopped with Fuggles for a distinctive, lingering hoppiness. A perfect 3.7% ABV.